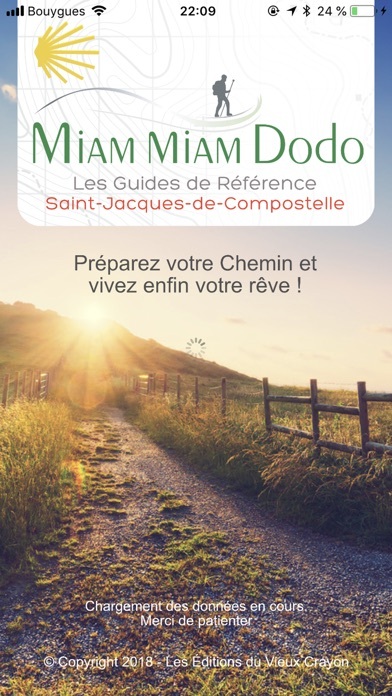 Created more than 20 years ago, the Miam Miam Dodo is the reference guide used by more than one walker out of two on the Ways of St.James. 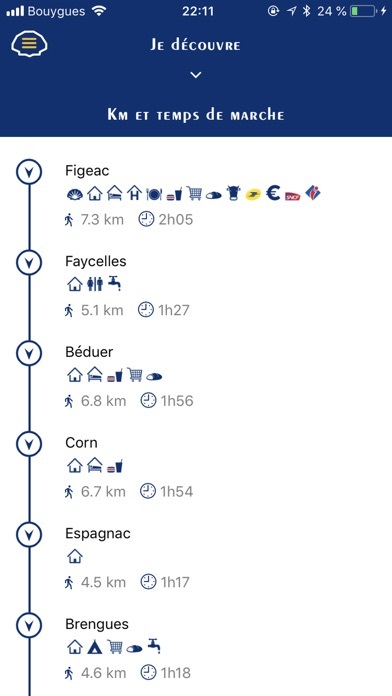 Designed by pilgrims for pilgrims, our app includes 3 main sections: - when you are looking for information about the Ways of St.James: the application gives you the practical and essential information for any apprentice pilgrim - when you prepare your itinerary: thanks to the application, you can visualize the Way, prepare your steps, find and contact the hosts - when you walk: the geolocated mode allows you to find all the useful services around you and the notifications inform you in real time with key information The application gives you the most up-to-date information, verified with all services and accommodation, essential for walking with confidence and autonomy towards Compostela. Section 1: I get informed (free access) With 20 years of experience, the Miam Miam Dodo remains, above all, the story of sharing our passion for the Way of St.James. Accessible for free and without creating an account, this section brings you proven advice, essential information to know before you start walking on the path. A mini-guide for the apprentice-pilgrim you are. Section 2: I discover (premium access) Dedicated to the preparation of your pilgrimage, you will find: - an ultra-precise cartography designed specifically for Pilgrims on the Way - a view in satellite mode to discover and visualize the Way as if you were there - kilometers and distances, difficulties and altitudes between the main places and cities of the Way to help you build your steps - historical, religious and practical information to immerse you in the life of the Way - points of interest to see or visit - the list of accommodation and their detailed information, located within a radius of 4 km of the Way, to make your reservations in advance - all the services you may need to prepare for your departure: information points, pilgrim receptions, car parks, local shops, etc ... Section 3 : I walk (premium access) This section will be your right arm once on the way. 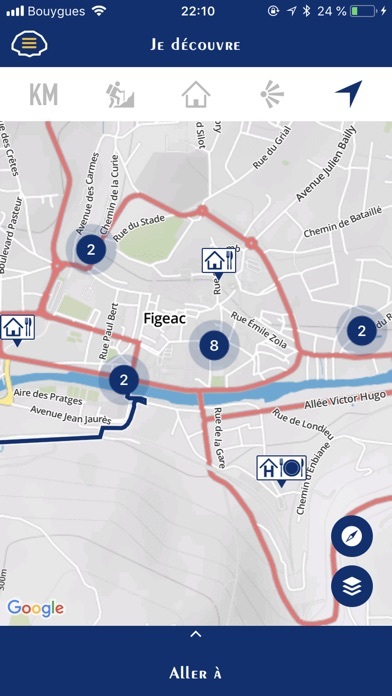 - its geolocated mode allows you to find easily around you where to drink and eat, and to locate the other useful services (toilets, tourist offices, posts, pharmacies, etc ...) - The My Favorites list gives you quick and easy access to the accommodations and services you have selected while preparing your pilgrimage - real-time notifications give you practical information along the way All data is available offline ensuring you continual access even when you no longer have a network. 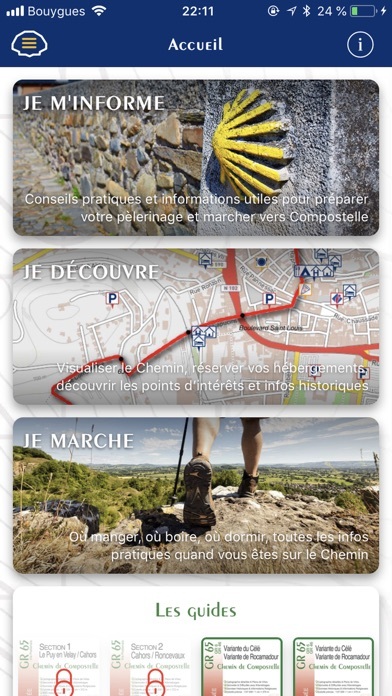 Available guides, prices and licenses The sections "I discover" and "I walk" are in Premium version only. They unlock when you purchase one of our guides. 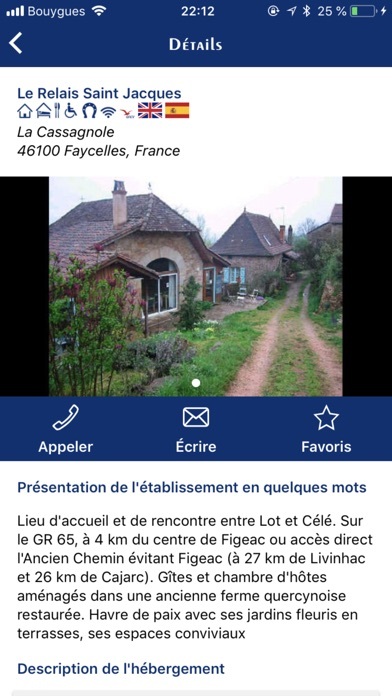 We propose today 3 guides: - the guide GR65 - Section 1: Le Puy-en-Velay to Cahors - the guide GR65 - Section 2: Cahors to Saint-Jean-Pied-de-Port / Roncesvalles - the guide The Célé and Rocamadour ways Each guide has a price of its own, to be found on the Guides page or via the application's home page. The license is valid for one year from the purchase of the guide. After one year, we will send you a reminder indicating the end of your license. If you do not wish to renew, there will be no tacit renewal. Your access to the sections "I discover" and "I walk" will be disabled. You can re-activate it at any time by purchasing a licence of the guide again.